I have been working a bit less on this miniature recently, but I did manage to finish the yellow parts of armour. What is left is the left pauldron and few satchels on his back. After that I will start working on the iconography on all white elements. I continue to have lots of fun working on this model and try to make everything pristine. 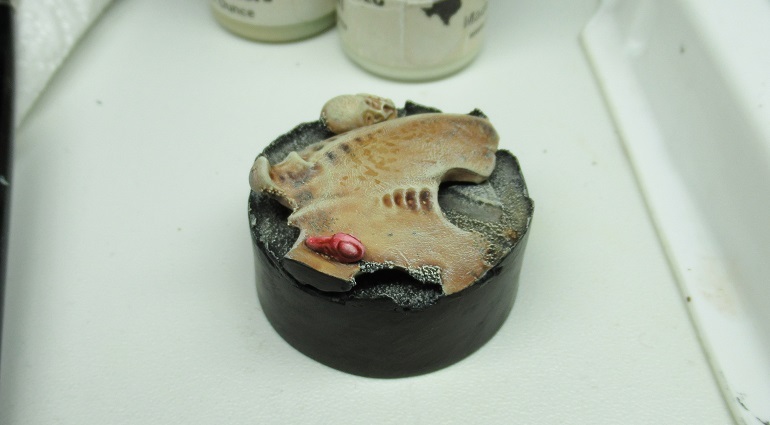 It has been done from couple of Tyranid elements I had in my bits box – notably a part of the Carnifix armour, as well as skull of a Genestealer. The bone was painted, very similar to what I have been using on the Chieftain. 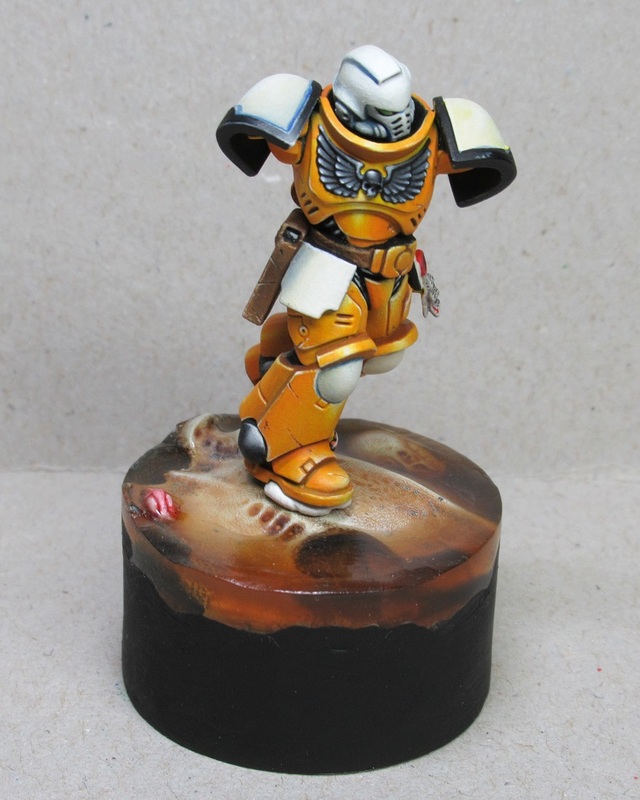 It is pretty straight forward, I painted the whole thing Yellowed Bone, by Reaper Mini’s (GW Bone Yellow will work even better) and gave a hefty wash with Seraphim Sepia (by GW). Then a bit of very delicate drybrush with Linen White, by Reaper Mini’s. It was finished by adding small dots of Seraphim Sepia. Layering, Glazing & Wet blending.